Share Brandon Bailey Johnson's EPK! Brandon Bailey Johnson @ Centro De Salud Familiar La Fe, Inc.
Brandon Bailey Johnson @ Infinity Visual and Performing Arts, Inc. The youngest professional music producer is Brandon Bailey Johnson (USA), who was aged 12 years, 363 days at the time of release of his debut album "My Journey", on 21 February 2015. 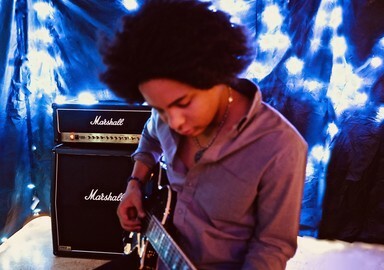 Brandon Bailey Johnson is a songwriter, multi-instrumentalist, producer and arranger. Oh yes, and as of Aug. 12, a world record holder. Brandon, 13, is in the book of Guinness World Records for the "World's Youngest Professional Music Producer." "I really don't know how to describe how I feel, I really can't," Brandon said. "It's a privilege and an honor to be in the Guinness Book of World Records, that is certain." 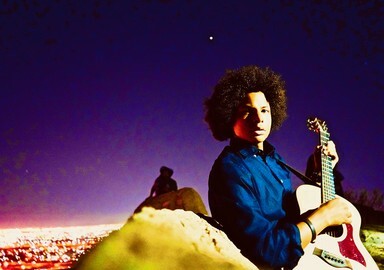 In February, Johnson released his debut album called "My Journey." The Texas musical prodigy wrote all seven songs, sang lead and backing vocals, and played guitar, bass, keyboard, drums and percussion on his pop-rock debut album. He also composed, arranged, produced and recorded the album in his home studio. Brandon received his Guinness World Records certificate on Aug. 26, making it official. "I never really thought about it until the morning my mom woke up and told me I was in," he said. "I mean, I would read the books for fun but I never thought I would actually be in it one day." Nancy Johnson, Brandon's mother, said she was surprised when she received the email informing her that Brandon was in the book of Guinness World Records. "I was absolutely stunned," she said. Brandon has been in the studio working on his second album. But he is taking it all in stride. 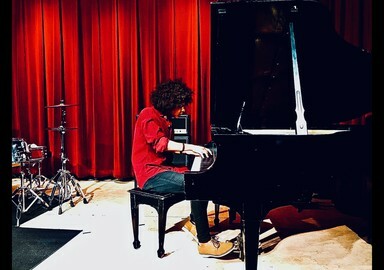 When he’s not in school or hanging out with friends, 13-year-old Brandon Bailey Johnson is either working on his next record, producing another artist’s album, or writing his first fantasy novel. RELATED: The Cutest Kids You’ve Ever Seen! Recently recognized as the “World’s Youngest Professional Music Producer” by the Guinness Book of World Records, he is a prodigy in every sense of the word. Brandon got into music around age 8, inspired by artists like Paramore and Lenny Kravitz. He knew he wanted to rock, so he took up the guitar, and before long he was working on his own music. I figured I should play the guitar." all seven songs on the LP, as well as singing lead and backup vocals, and playing guitar, bass, keyboard, drums and percussion! Additionally, he produced the music of a handful of rising talents… by "produced," that means everything – composing, arranging, even supervising the mixing. In addition to his time in the studio, Brandon likes to jam on stage. His first performance was at a local pizza parlor at age 9, but he’s performed for as many as 45,000 people, quickly getting over his stage fright. If you think Brandon’s ultimate goal is to be a rock star, however, you might be surprised he has equal ambition to be a published author. "I like to write fantasy," he says, adding, "I’m a really big fan of Harry Potter." It was about two years ago, some random Wednesday night, sitting at an open mic and eating pizza, that I saw Brandon perform for the first time. I had just heard a few songs by a young fellow playing the ukulele, when a little guy with a guitar and Lenny Kravitz style hair stepped up to the mic and played his few songs. One never knows what to expect in an open mic. Performance has a vast spectrum as does expression, but there are wavelengths on that spectrum that often catch you off guard and reverberate. In the case of Brandon what was surprising was not only his age, as compared to everyone else there, but his charm and a rare honesty in his playing. A year or so later, when Ryan and I were covering the El Paso Song Writing Competition at The Playhouse, we saw Brandon again. This time a much more loose and comfortable performer who moved swiftly and gracefully on stage. It’s common for beginners to freeze up, to stiffen, but Brandon seemed so in tune with the space; in command of his instrument and the sound he was creating. 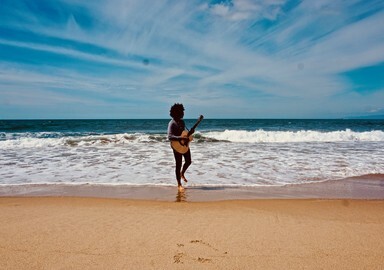 The format of the Songwriting Competition is this: songwriters play a few of their original songs which are then critiqued by a panel of judges who offer feedback, opinions, and constructive criticism. It’s all done in the name of rewarding good songwriting and further expanding and fine tuning the craft. Brandon took the thoughts from the judges very humbly, with shy little nods and affirmations. In the end, Brandon took third place over all, among a crowd of diversely talented young people. What did it feel like to have judges critiquing your songs immediately after you play? “I thought it was cool.” He said. One of the things that struck me the most when talking to Brandon is how apt he is in conversation and discussing his process, his thoughts, and opinions. Brandon heard Linkin Park for the first time when he was seven or eight years old. It seems to me that nine was a pivotal year for him, for that’s when he describes losing interest in sports and taking up his music more seriously. I asked him if he liked Transiberian Orchestra and he turns around and points to a small poster on the wall. “I love them,” he said. Eventually I suggest to him: Listen to the White Stripes. We sat in his home studio, where he has his setup of guitars, guitar amps, a drum set and bass, as well as his mac computer. It was in this room that Brandon recorded his album. What they call ReddOak Studios. As we talked, I was struck by Brandon’s ability to maintain eye contact, his ease in conversation and his humor about himself. Some of what he said indicates a level of understanding of nuance and complexity rare in kids his age. He fidgeted some throughout the interview, spinning his chair around, playing with his guitar picks, glancing quickly at his computer or his mother who was sitting nearby, but he was very attentive and engaged. Brandon started playing guitar when he was nine years old and he began with a few guitar lessons at La Guitarra Studio on Mesa Street. He speaks fondly of his first teacher Chris Ellis, who will be accompanying him at his release party this weekend. “Things are always really shaky when you get someone so young, but Brandon was just a natural and he would come back the next week and he would have it done.” Said Ellis. Ellis said he was impressed by not only Brandon’s progress, but the consistency and speed in which he picked things up. The work ethic seemed undeniable. “Natural performer. Sweet Kid. Very humble.” said Ellis. Brandon studied for a few years, took a few other instrument lessons and then played at the St. Marks United Methodist Church. “I played with them for two years and that was a really good experience with them. I always want to go back, but I’m so busy right now,” he said. Last Fall he was part of the El Paso Opera Searching for La Rosa. Brandon never had any kind of lesson on the drums and describes going on You Tube and checking out videos of drummers from his favorite bands. I had imagined that someone had walked him through the process or had helped him record it, but as he describes it, it was a process of discovery as much as it was of composition. Now, he says, he has it all worked out. He can record a new album every six months, which will give him four months to write and two months to record. How many songs are in the album? One of these last minute additions, he tells me was a Christmas present for his parents. 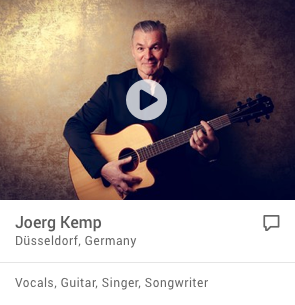 It made it on the album as an instrumental song, but the present was a melodic guitar part with his voice expressing his thanks and love for his mom and dad. Somehow I convinced him to play me a part of this. As it played, Brandon squirmed in his chair and put his hands over his hears, wincing. He would admit later that he does not like to hear himself sing or listen to any of his music that is not finished. His mom told me that often when Brandon plays them a song he's just recorded, he leaves the room. Tell me about some of the other songs. When I asked what this thing was that had shocked him, he was reluctant. He shook his head. He wouldn’t talk about it. There is so much that can shock you at that age, but he speaks about this discovery as something mind altering, capable of shifting ones philosophy of the world. There was something about the way he mentioned his relationship to his father that suggested he understood that not everybody’s relationship to their father is like that. This was perhaps the most impressive thing about Brandon, his depth, sensibility, and wise assertions. How do you start writing songs? “Usually it starts with me walking around the house playing my guitar, jumping off of couches, being a rockstar,” he laughs. I’m trying to remember myself at his age. I had a tremendous lack of confidence, mostly preoccupied with fitting in at school and hyper-aware of why I was inept at social interactions, in conversation, in class, in sports, in dressing ‘cool.’ I was trying out for the basketball team and sitting on the bench. I was miserable in school. Brandon is currently home schooled and seems to concern himself largely with creation, but is well adjusted to challenges and obstacles. He is well spoken, expressive, polite, and exhibits a sense of self awareness that is quite captivating. He carries a sense of curiosity, excitement, and individuality untouched by the systemic restraints and limitations of public education standards. What do you do when you are not playing music? I ask him and he reveals his passion for movies and stories and Legos. He has a collection of Legos he says. I’m taken aback. Wait, so you like to write stories? He loves magic and the fantastical. An imagination of Pan Labyrinth proportions. I realize that there are posters in the room of Harry Potter and I ask him about his favorite books and movies. The Hobbit. Lord of the Rings. The Hunger Games. Harry Potter. Diary of a Wimpy Kid. 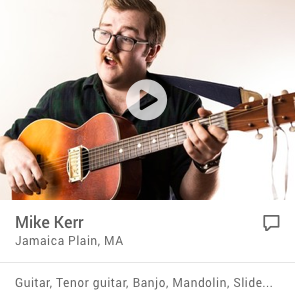 He describes to me how he often imagines being a different character when he plays different instruments, so as he plays there is another level of story happening. Characters from his stories also emerge and help him play. So what do you want to do in your future? Music? How does your story writing relate to your music? “I see them as two separate things. Usually when I write my books I make up stories and when I write songs I basically written about my life. Maybe I’ll write a song about me writing a book” He laughs. Anything you want, I say. So he sets up and shows me how he plays each instrument and how he records it using Studio One music software. He plays the intro to Sweet Child of Mine. He’s a perfectionist, I can tell because even in this short demonstration he recorded several takes of a short melody and constantly said things like, “I messed up. What’s new," or "That didn't sound very good." He certainly has fun with what he does and doesn't take himself too seriously. Brandon is currently the only musician his age to have composed, arranged, produced, and recorded his entire album. He is to enter the Guinness Book of Work Records as “Youngest Professional Music Producer.” Brandon’s release party for his album is this Saturday at the Pizza Joint downtown. Are you excited about your release party? I ask him. “Yessss,” he says, “I’ve invited a ton of girls.” He smiles. CD release party to introduce his pop-rock debut, "My Journey." When: 4 to 6 p.m. Saturday. Where: The Pizza Joint, 500 N. Stanton, Downtown. EL PASO, Texas — The Neon Music Desert Festival is set to go for this weekend and there’s not only a local performer on this year’s lineup, but the youngest performer to ever hit the stage at the festival. Some of the headliners include Nelly, J. Balvin, Foster the People and local singer-turned-music star Khalid, who graduated from America’s High School just last year. Khalid going national quickly with his American Teen album calls El Paso home, but there's a new teen hitting the stage at the festival who's even younger than him, his name is Brandon Bailey Johnson. No stranger to the music world he has been performing since he was eight years old but this is a big deal for him. “I've heard of Neon Desert, but I've never been. I’m excited to play there and see what it’s all about. It's one of the biggest shows I’ll have ever played in my life,” he said. Brandon was invited to perform after festival promoters saw him speaking at a Ted Talk hosted in El Paso earlier this year. He writes, produces, masters and performs. Has three albums, has helped produce albums for other artist and has a Guinness World Record for being the Youngest Professional Music Producer. He set the record in 2015 at age 12. 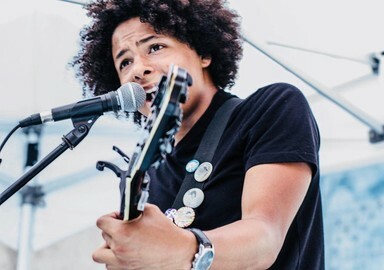 He just turned 15 in February and will be the youngest musician to hit the stage and perform at the Neon Desert Musical Festival. I honestly can’t wait. I have a lot of practicing to do,” said Johnson. Normally a one-man band, he can play the piano, drums, guitar, bass and he's learning the violin and cello. His greatest musical inspiration is Prince, and he’ll be playing one of his songs along with some new music and a band. And cello teacher offered to play with me and we formed a group and I like the way it's going," he said. "I like Khalid and have listened to his album. His style is different but it’s really unique. I would just really love to meet him, maybe collaborate and work with him. I’d play on stage with him,” he said. What we can learn from music production when it comes to collaboration and problem solving. 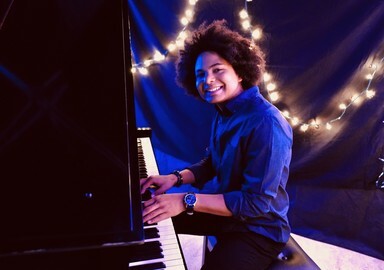 Brandon Bailey Johnson is an extraordinary 14-year-old multi-instrumentalist, producer, and arranger, with a charismatic personality, and an impressive stage presence. He composed, arranged, produced, and performed all the live instruments, served as his own sound engineer, and supervised the mixing and mastering process for his debut album My Journey. It was recorded at his home-based studio, ReddOak Records, LLC, and was released in February 2015. On February 21, 2015, Mr. Johnson was officially recognized as the Guinness World Records Youngest Professional Music Producer. He has written and composed over 35 songs and is presently producing four artists. His latest album, Memories is scheduled for release in the fall of 2016. He practices kindness in his community through his Keep Reading Writing and ROCKIN literacy campaign by visiting local schools, relief agencies, and non-profits to offer words – and songs – of encouragement, and to remind everyone to be kind to each other. ENJOY ROCKER BRANDON BAILEY JOHNSON AT 2:30 PM AT THE CMN TELETHON ON KFOX TV 14! The City of El Paso Museums and Cultural Affairs Department (MCAD) has revealed the line-up for this year’s Chalk the Block Festival. Every October, the streets of Downtown El Paso become canvasses for artists to display their chalk masterpieces at Chalk the Block. This year the festival will be held during the weekend of October 6 through October 8 in the heart of the Downtown Arts District. This year, CTB will engage attendees with installations created by artists from around the nation. ⦁ Wish Tree: Yoko Ono – New York based Tokyo artist ⦁ Wish Tree is an ongoing interactive art project where visitors are invited to tie wishes on trees. After the festival, all the wishes that were collected will be sent to the Imagine Peace Tower on Viðey Island in Reykjavík, Iceland. Imagine Peace Tower is composed of a tall shimmering tower of light that appears every year and is visible from October 9th (John’s birthday) until December 8th (the anniversary of his death). ⦁ Spheres of Influence: Curime Batliner and Jake Newsum – Los Angeles ⦁ Created by Curime Batliner and Jake Newsum for the for the Mextropoli Festival in Mexico City, Spheres of Influence is part installation and part live performance that uses a robotic system from Staubli to paint layers of graphics (abstracted from the city) onto a series of human-scale spheres. The spheres are painted throughout the festival demonstrating how technology can transform a public space. ⦁ Cycle Sonic: Squonk Opera – Pittsburgh, Pennsylvania ⦁ Composer Jackie Dempsey and artist Steve O’Hearn work with an ensemble of 10-20 artists to create post-industrial performances with original music, design, and staging, outside the rules of mass culture, fashion or academia. Giant, animated bikers circle the audience, with backdrops of undulating flags and 20-foot legs pumping with the rhythm of sustainable power. With no carbon footprint, Cycle Sonic combines the thrill of a live concert with the world of everyday transit. ⦁ Sun Metro Bus – Art on the Move: Curated by Kalavera Culture Shop ⦁ For the festival’s 10th anniversary, Chalk the Block and Sun Metro are joining forces to create a piece of movable art. During the festival, local street artists will paint one of Sun Metro’s 35-foot busses. After the festival, the bus will be added to one of Sun Metro’s existing routes for a period. Art on the Move was a featured installation at Chalk the Block 5, and it is returning for the festival’s 10th anniversary. Festival visitors will also be able to enjoy live music throughout the day on Saturday from some of the area’s best local musicians. DJs will also be spinning throughout the weekend. Chalk the Block is a collaborative event organized by the City of El Paso Museums & Cultural Affairs Department and the El Paso Community Foundation and sponsored by the Rudolph family of dealerships. This year’s festival is also supported in part by an award from the National Endowment for the Arts. The festival will be open Friday, October 6, from 6 – 10 p.m.; Saturday, October 7, 10 a.m. -10 p.m.; and Sunday, October 8, from 11 a.m. – 3 p.m.
Jakarta, CNN Indonesia -- Usia baru 13 tahun. Tetapi Brandon Bailey Johnson sudah punya segudang profesi, dari penulis lagu, pemain musik multi instrumen, produser sampai penyusun aransemen. Oh, satu lagi: pemegang Rekor Dunia. Sejak pertengahan Agustus lalu, bocah berambut keriting ini tercatat di Guinness World Records sebagai Produser Musik Profesional Termuda Sedunia. “Ini merupakan penghargaan luar biasa: menjadi bagian Guinness World Records,” kata Brandon sebagaimana dikutip USA Today, dengan nada takjub, seolah tak percaya. Pada Februari lalu, Brandon merilis My Journey. Ketujuh lagu di album debut ini digarap sendiri oleh bocah asal Texas, Amerika Serikat ini, dari vokal sampai beberapa instrumen musik. Ia juga mengomposisi, mengaransemen, memproduksi dan merekam sendiri album ini di studio pribadi di rumahnya. Jadi memang tak keliru jika ia beroleh sertifikat Guinness World Records. Hingga kini, saat menggarap album ke-dua, Bandon mengaku masih terpana dengan keberhasilan album pertamanya. Bagaimana pun ia tetap hidup normal layaknya bocah 13 tahun. Begitu tiba saatnya bermusik, Brandon bakal betah berkutat di studio bersama sound engineer merangkap penyelia Mixing & Mastering Process George Ware dari MacMoney Studios di El Paso, Texas. Prince, yang terkenal lewat lagu The Most Beautiful Girl in The World, termasuk musisi jenius yang memainkan sendiri semua instrumen musik untuk lagu-lagu yang dinyanyikannya. For many 13-year-old boys, an ideal week consists of riding their bikes with friends, Xbox marathons and pizza binging. While Brandon Bailey Johnson enjoys all those things, one passion of the born-and-raised El Pasoan sets him apart from the average teenager; he was bestowed the title of “Youngest Professional Music Producer” by the Guinness Book of World Records last year. The title came after the multi-instrumentalist composed, arranged, recorded and produced his debut album, “My Journey,” at age 12. 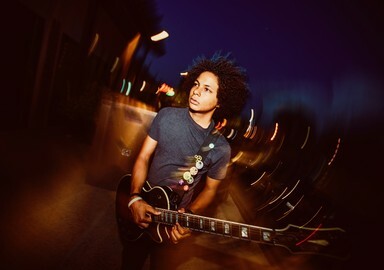 Since his world recognition, Johnson has been the subject of numerous news outlets, including CBS Evening News, who interviewed the musical prodigy Downtown at The Pizza Joint this past fall. This Wednesday, Jan. 13, he will open for the touring Philadelphia-based band Civil Youth, but this spring will see his first national tour, where he will hit states such as New Mexico, Arizona and California. Johnson recently spoke with What’s Up about his musical inspirations, fame and the future of his career. Q. What did you think when you got the call from Guinness? I was really surprised! I never even knew my parents entered me, so the thought never even crossed my mind. Q. You started playing guitar at age 7, correct? Yeah, and I actually wrote my first song when I was about seven, eight years old. It’s a Christmas song I haven’t really performed anywhere. Q. How did your interest in music start? When I was 7, I started listening to the band Linkin Park, and they made me want to play guitar. I wanted to be able to play their songs. Q. Do you have an idol? I like to listen to Prince. He’s probably my main idol. Q. What’s songwriting like for you? When I write my songs, the music is probably the easiest part to write. The lyrics, though, I don’t really write until something happens to me that’s interesting enough to write about. The lyrics are the most difficult part to write. Q. What other interests do you have? I actually like to write books. I’ve been writing a book for about three years now, you know, redoing it, writing rough drafts. It’s about a fantasy world I created. I think I’m getting to the final draft of it now. For 2016, I hope to get it published. Q. When did you get interested in writing? For about five years now. For a long time I’ve dreamt about becoming an author. Probably, my main jobs would be being an author, music producer and filmmaker. Q. Wow! You are ambitious! Yeah, I want to turn my books into movies. Q. What else do you have planned for this year? I’m also rerecording the material on the album that I got the Guinness award for, just because I feel like I’ve gotten better and I could’ve done better. I’m planning on re-releasing it in February, March. I’m also working on a new, separate album. It’s called “Memories.” It’ll probably be out in May or so. Q. Why did you go into production? When I started wanting to record my album, [“My Journey”], we just kind of looked around and thought that if I went to a studio here in town, I’d need to probably hire some musicians to play on the album. Then we got to thinking, I could do it by myself and play all the other instruments and build a home studio. On the album, I play guitar, piano, drums, bass, keyboards and I sing. Basically, it was only me in the studio. Our home studio is called ReddOak Recording Studio. Q. Did you have to research a lot beforehand on the equipment? Yeah, we spent a few months researching before we got anything, just to learn what to get and how to use it. It was hard to learn to use the program we have, PreSonus Studio One. I had to learn it from scratch. We got a Mac for it, and I even had to learn how to use that because I had never used one of those before either. It was all pretty difficult to learn. Even now, I get stuck on some of my recordings. But I kind of figure it out as I go along. Q. What other artists do you produce? The first one is Adamari Cruz. We just had her release party December 12. She’s from Missouri and she came down here to record. I have a few other artists I’ve been working with and I plan to get their stuff released in 2016. Q. You have a lot on your plate. How do you balance school, home, music and producing? I’m home schooled, so I can do a little more. I can get all my schoolwork done in the morning, say like three hours or so, and then spend the rest of the day in the studio. Q. Do you always perform alone? Usually. I have this pedal, a loop station pedal, and I pre-record some tracks on there that I can play over and stuff when I perform. But recently at a couple shows, I’ve been playing with this guy, JJ. He’s 14 and he’s a drummer. We played some Christmas shows throughout December. I also played with him at the Freedom Crossing Show on New Year’s Day. Q. Have you played with other local musicians? Yeah, a lot actually. My favorite thing is to experiment with other musicians. We put on a benefit show back in August for the Lee and Beulah Moor Children’s Home and a couple really good local artists played too. Q. I read that you’ve played for huge crowds, like 45,000 people. What’s that like? Yeah, I’ve played at the Sun Bowl for Monster Jam, and I also played at the Albuquerque Balloon Fiesta a few years in a row. Those were both pretty packed. I’ve learned to treat every show, whether it’s two people or 2000 people, the same. But I actually tend to get more nervous when there’s less people. I see myself with a couple of albums under my belt, maybe a couple tours and a lot of books published. Q. Do you have any formal music training? I took guitar lessons for about two years, and I took piano lessons only for a month and after that I’ve been self-taught. I’m self-taught on bass and drums as well. Q. What are your practice habits? Q. What do your friends and family think about your fame? They don’t really think of me as really famous, because I’ll go outside and play with them in the mud in old jeans. I just see myself as a little kid. Actually, right now, I’m playing soccer as I’m talking to you! TED is a platform for ideas worth spreading. Started in 1984 as a conference where technology, entertainment, and design converged, TED today shares ideas from a broad spectrum — from science to business to global issues — in more than 100 languages. These talks are then made available online for free so that their ideas may be spread throughout the world. TEDx was created in the spirit of TED’s mission, “Ideas Worth Spreading.” It supports independent organizers who want to create a TED-like event in their own community. The TEDx Program is designed to spark deep conversation and connections at a local level. Since the program’s creation, more than 10,000 TEDx events have spread throughout the world to places like Berlin, London, Tokyo, and, of course, El Paso. TEDxElPaso is an annual, freethinking conference held in downtown El Paso. This event brings together the region’s brightest minds to spread ideas and inspire change. TEDxElPaso believes in creating an authentic TED experience, providing the region’s greatest minds with a powerful venue to share with the community. In 2017, TEDxElPaso will bring together compelling speakers and over 200 leaders from all walks of life to foster talks on cultural, intellectual, and socially-minded issues – all helping to propel El Paso’s idea revolution. 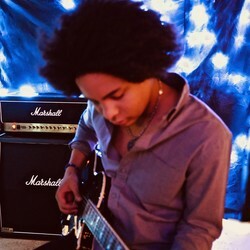 Brandon Bailey Johnson, Guinness World Records "Youngest Professional Music Producer". Brandon achieved the title at age 12 by *Producing, *Composing, *Arranging, *Recording and *Performing all the Instruments on his debut album- “My Journey”. Brandon was born and raised in El Paso, TX where he began formal music lessons at age 6 and composed his first song later that year at age 7. Brandon continues to Compose, Arrange, Produce, Record and Perform all the instruments on his albums. In September 2018, Brandon composed his first film score for the El Paso IMPACTFEST- which included a projected video and light show showcasing Brandon’s music. In addition to composing contemporary music, Brandon enjoys composing classical pieces and playing the violin with the El Paso Symphony Youth Orchestras. Brandon is a One-Man-Band capable of performing small acoustic sets to large full-sound productions. His sets include over 35+ originals and 20+covers all performed by Brandon. 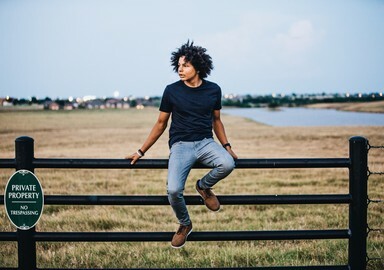 Brandon was the youngest performer at Neon Desert http://kfoxtv.com/news/local/youngest-performer-to-hit-stage-at-neon-desert-music-festival and has performed at various Film and Music Festivals in Arizona, California, New Mexico and Texas. 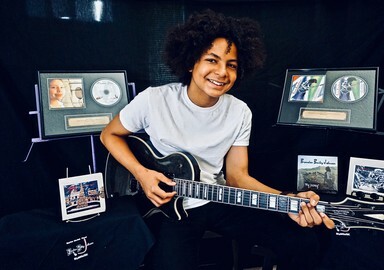 EL PASO, Texas, August 25, 2015 -- Brandon Bailey Johnson, a 14-year-old American Singer-Songwriter, Multi-Instrumentalist, Composer, Arranger and Producer, from El Paso, Texas was awarded the Official Guinness Book of World Records certificate for the “Youngest Professional Music Producer” on Monday, August 24, 2015 at the age of 12. Brandon Bailey Johnson Producing "Everytime"
Brandon's set list can include 6 albums worth of original music or a combination of Cover songs and original music. Remember when they let me in, felt so good to be a part again. That’s why they all stay the same – nut we need it to grow…to move on in life. I don’t see why you’re cryin’, things could be worse. You could be one of them, dying inside. Or one of them, or one of them hiding their lives and cheating their faith. You’re not one of them now are you, you know him. It’s all because of one, he is life. He’s given you everything you’ve got ‘cause you are blessed. The world’s goin’ crazy over things that don’t matter. I’m not sayin’ that your life will be perfect. We still have our problems, but still we move on. Why would we be here if he didn’t have a plan for us. He knows us, and he knows what he wants us to do ‘cause you are blessed. My first true love for this was here.